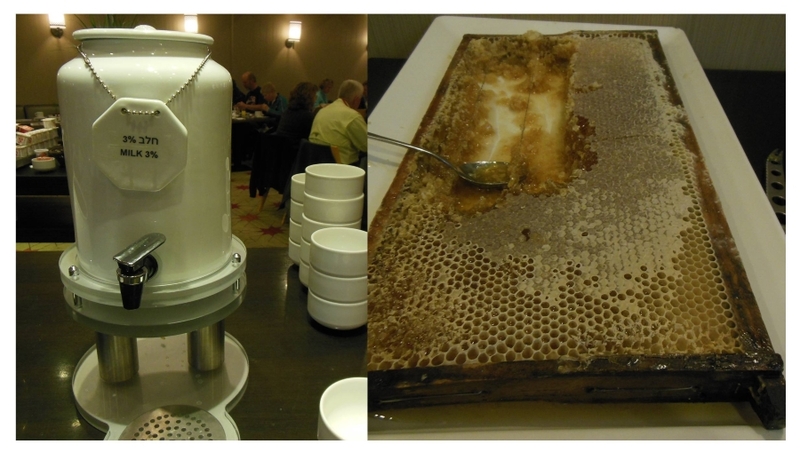 As we started our last day in Israel, we were reminded that Israel truly is the land of milk and honey, straight from the hive. 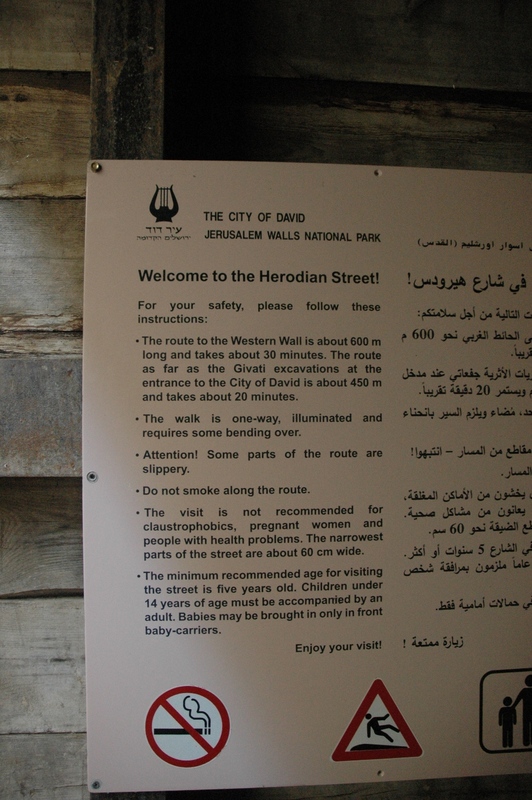 Our last long day in Jerusalem started in the oldest part of Jerusalem, Ir David – the City of David. 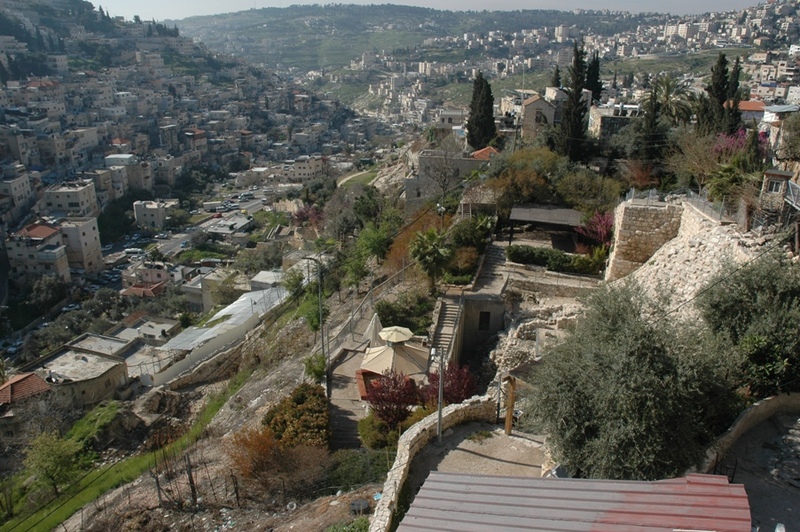 Today’s it’s part of the Arab Village of Silwan, but it is gradually becoming an archaeological park. Needless to say, that archaeology that is done here is politically charged but also incredibly interesting. 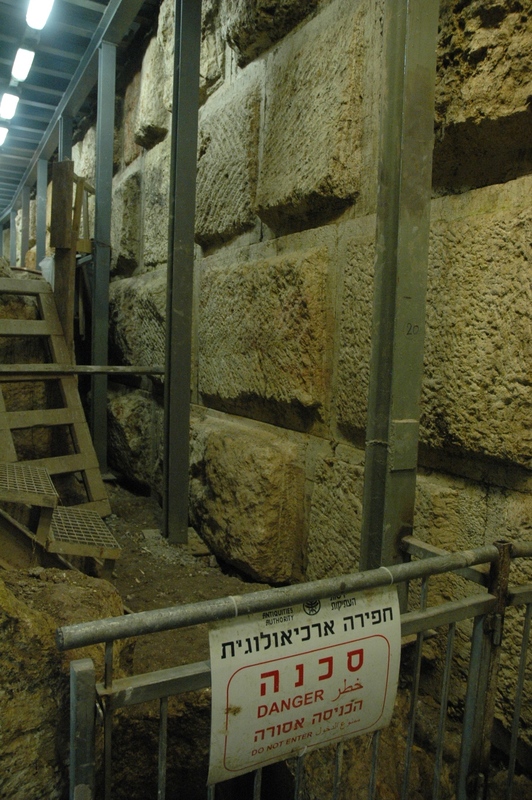 On my first trip to Ir David, about 15 years ago, I had the privilege of climbing down into a cistern that some believe was the cistern in which the prophet Jeremiah was imprisoned by King Zedekiah (Jer. 38). 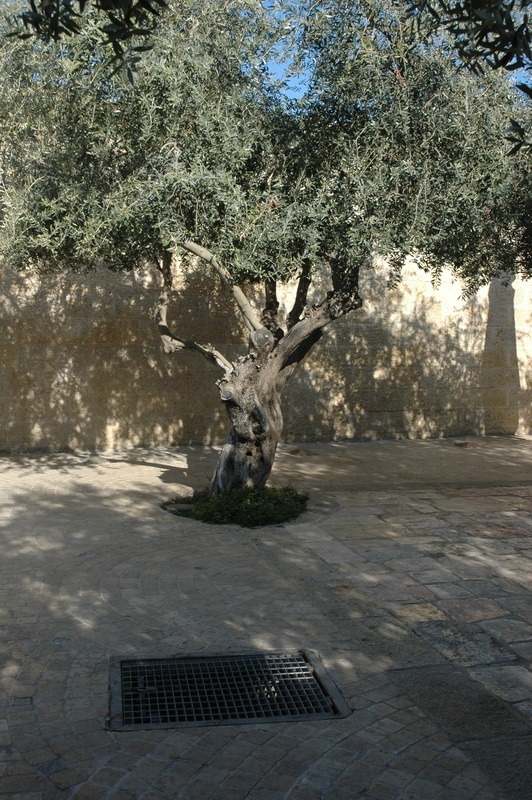 For now there are no tours in the cistern, and the entrance is covered by this grate, under an olive tree. 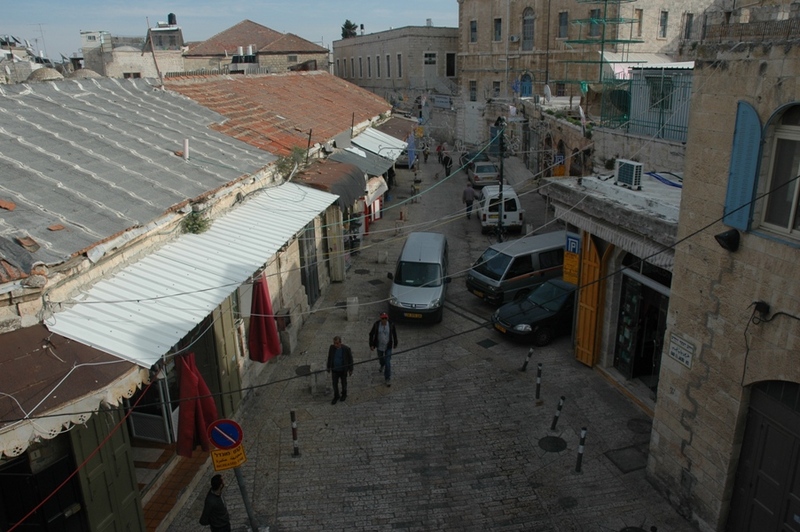 This is the area where Israeli archaeologist Eilat Mazar has been excavating, the ruins of which she believes is the palace that was built by King David. 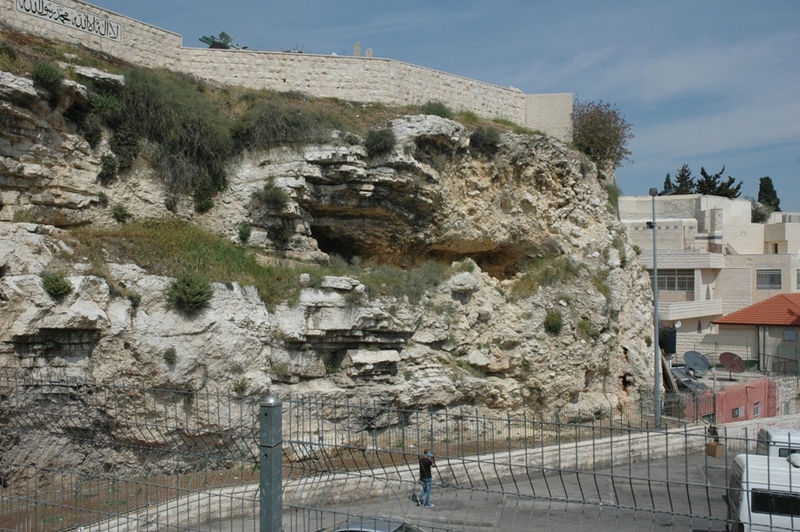 The stepped stone structure, also known as Area G, was excavated by a number of archaeologists, including Kathleen Kenyon and Yigael Shiloh, and may be the millo that is mentioned in conjunction with building projects in II Samuel and I Kings. 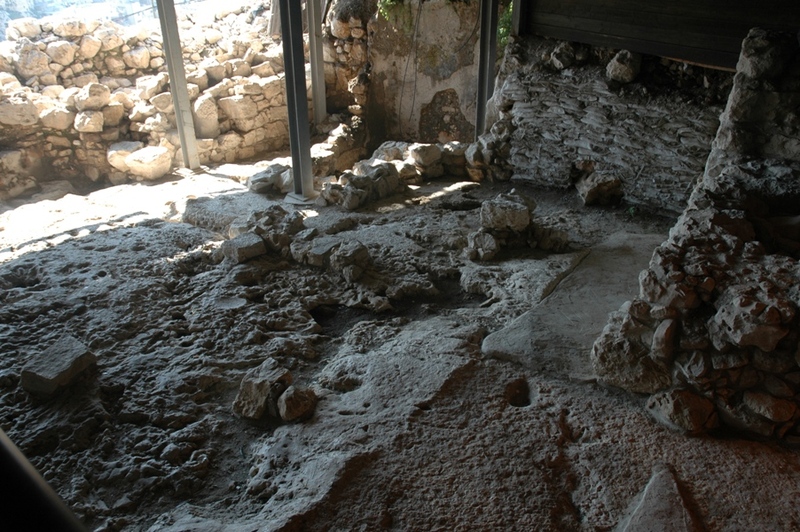 In the middle of it are the remains of a house, called Ahiel’s house, because the name Ahiel was found written on an ostracon (pottery shard) in the excavation. And in the middle of Ahiel’s house was found the remains of an indoor toilet. See if you can find it. 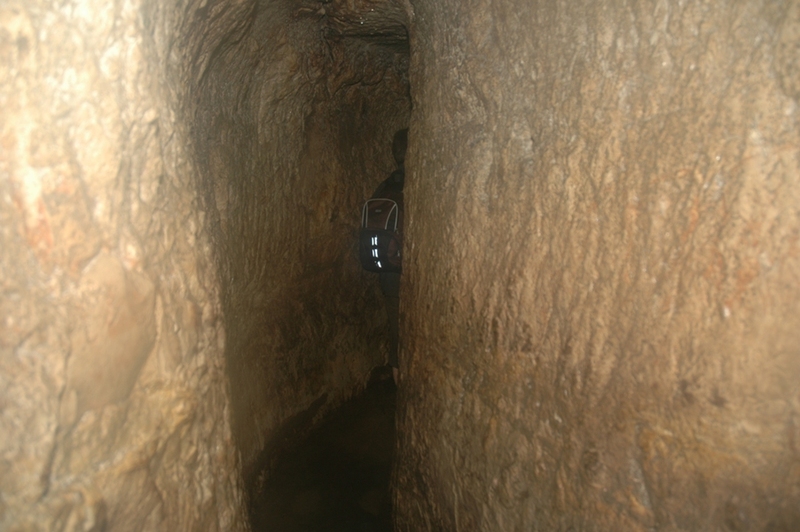 Just below Area G we entered the tunnel that was carved by ancient residents of Jerusalem to give them protected access to the ancient water source, the Gihon spring. We passed Warren’s Shaft and other excavated water storage areas. 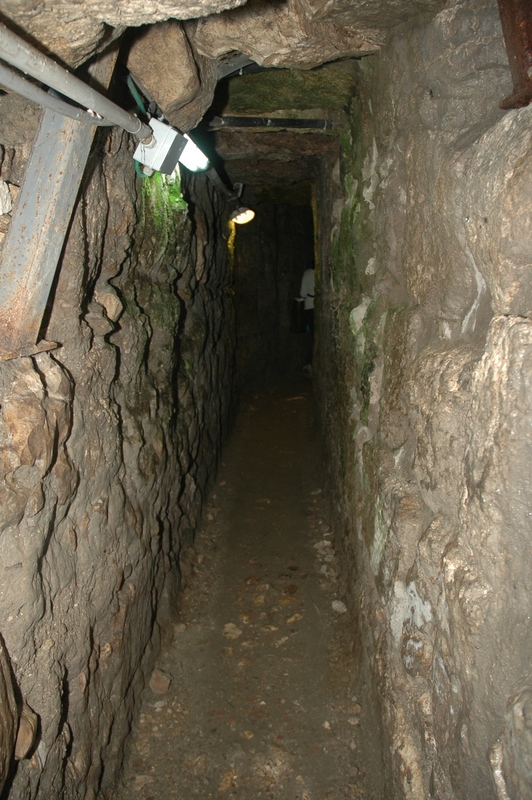 Finally we reached the effusive Gihon spring, and began our trek through another passage way known as Hezekiah’s tunnel or the Siloam tunnel. 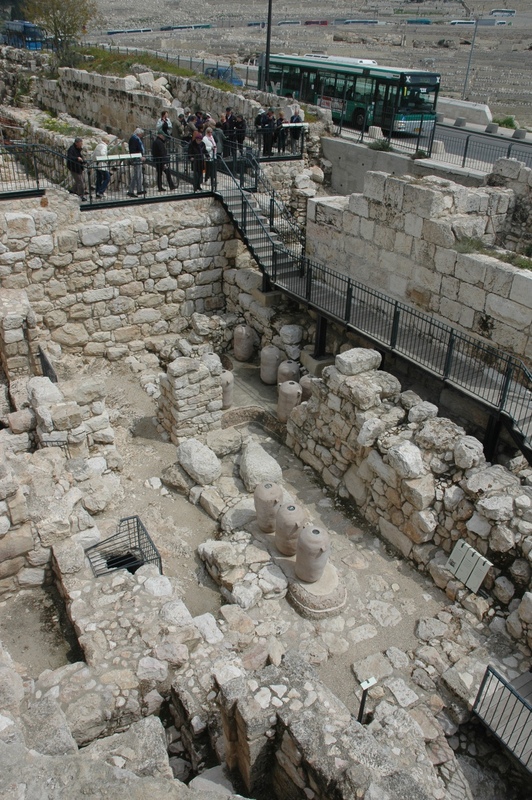 It was created during the reign of King Hezekiah (II Kings 20:20) to channel water from the Gihon spring to the Pool of Siloam, within the walls of the city. 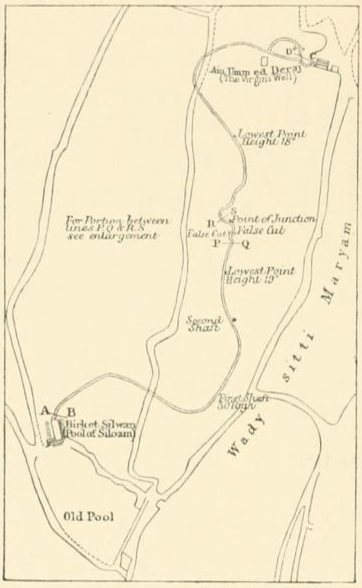 This 1884 sketch by Charles Warren and Claude Conder shows the winding path of the tunnel carved through the Jerusalem limestone by workers starting at both ends. 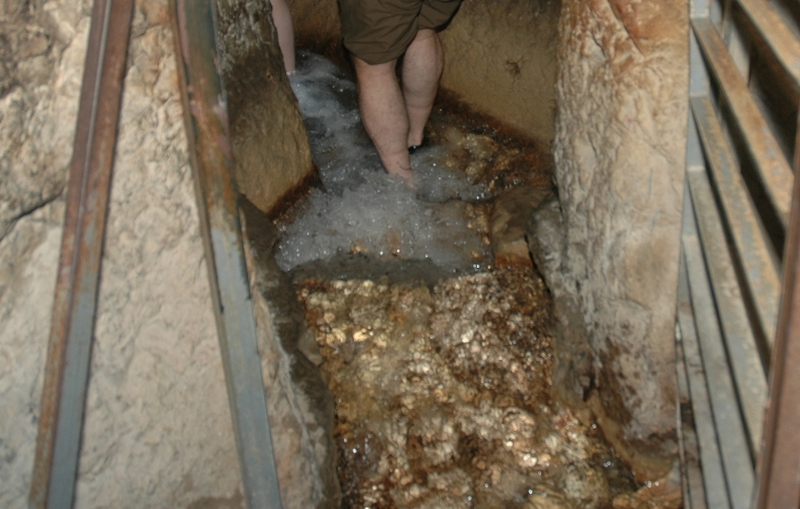 So we squeezed through the narrow passage, splashing through the water from the Gihon spring. The tunnel is 583 yards long. We had to move quickly because it sounded like Attila the Hun and his mongol hordes were right behind us. 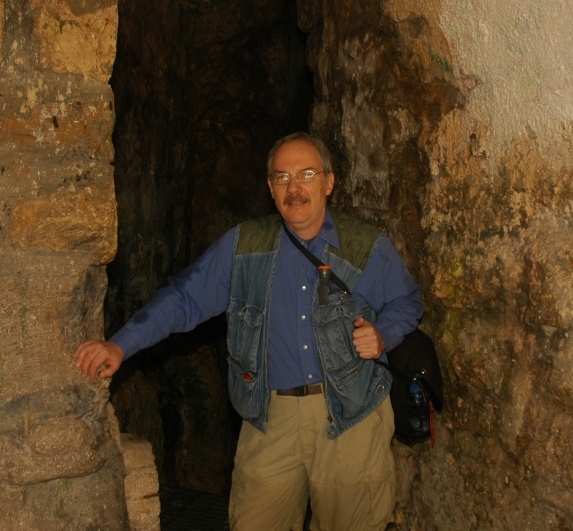 In 1992 I was first invited to go through Hezekiah’s tunnel by a young Arab lad holding a small candle in his hand. I wisely passed on that invitation (I think) but I’m glad I finally made it on my last trip and on this one. 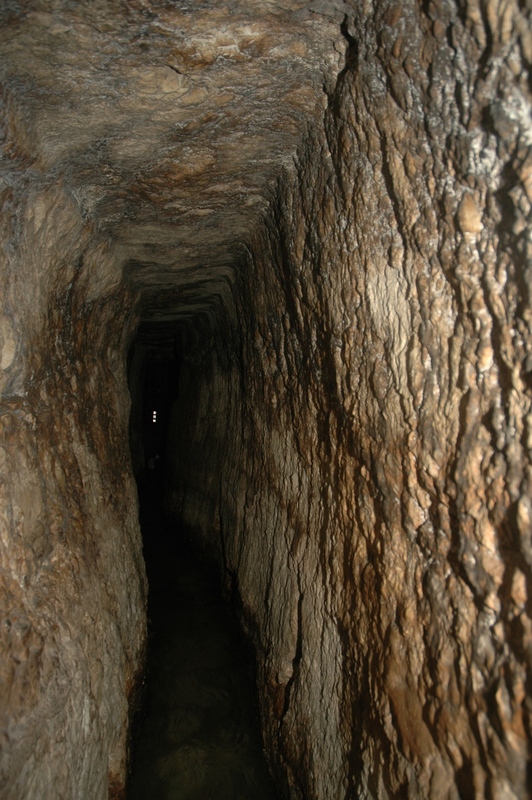 Next time I think I’ll try the dry Canaanite water channel and see what that’s like. Finally we learned the identity of the hordes that were on our heels, a group of middle school Orthodox boys on a field trip. 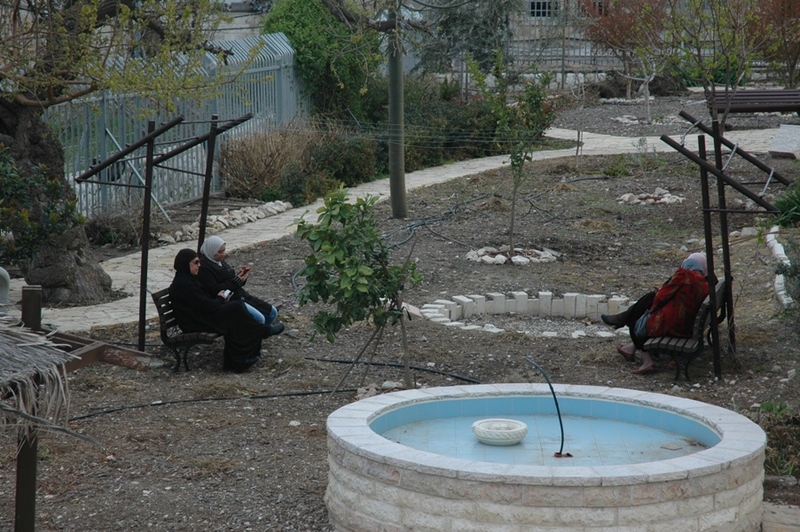 This is what used to be called the Pool of Siloam. It dates to the Byzantine period, after the time of the New Testament. 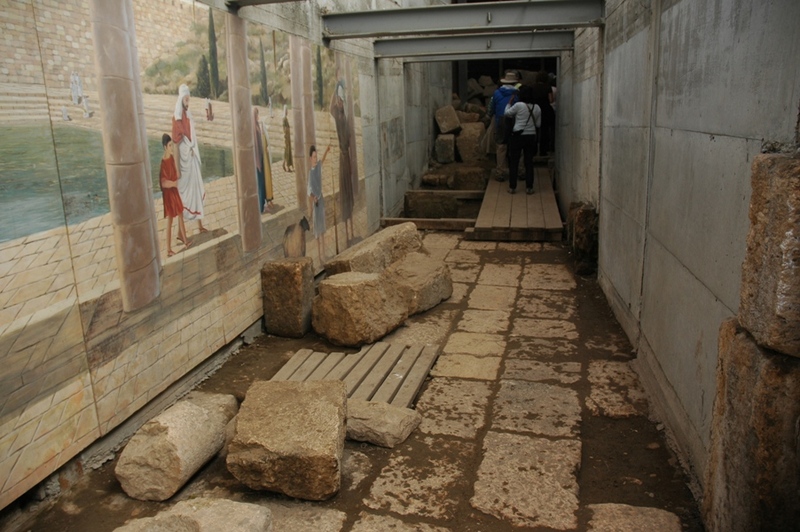 The first century Pool of Siloam was discovered just a few short years ago, in 2004, during a sewer construction project. Here we read about the blind man healed by Jesus in the Gospel of John, chapter 9. 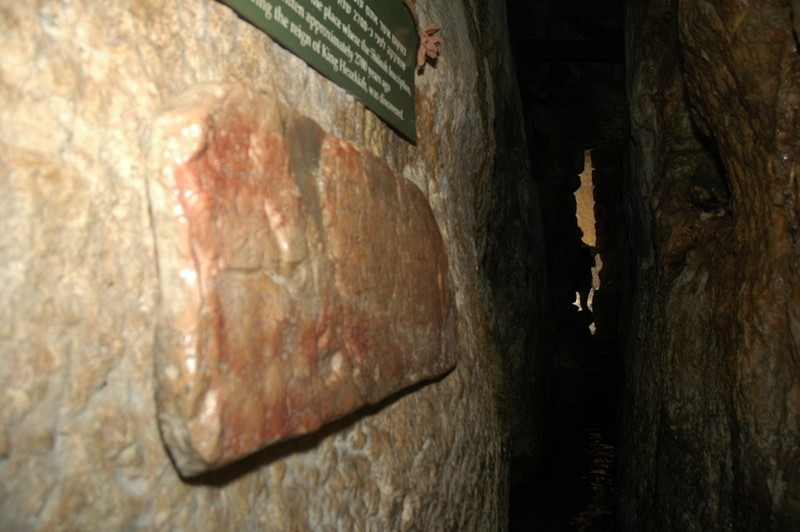 After emerging from one tunnel, we headed for another tunnel that has just been excavated in the last decade. 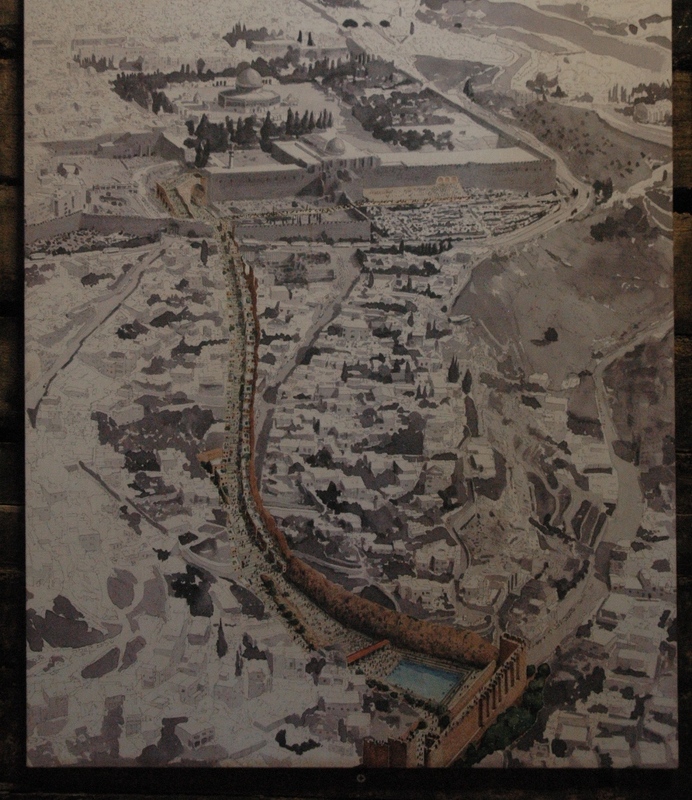 The Herodian Street and the water channel beneath it goes from the Pool of Siloam up to the Western Wall. 600 meters is about one third of a mile. This is the path of the street. And this is the water channel under the street. 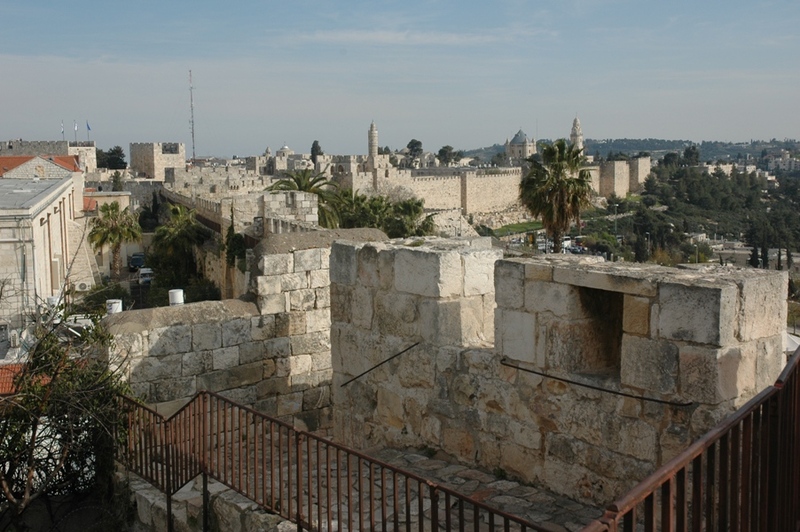 During the first Jewish revolt, citizens of Jerusalem tried to hide from the Romans in this channel. Archaeologists found a centurion’s sword when they excavated it. 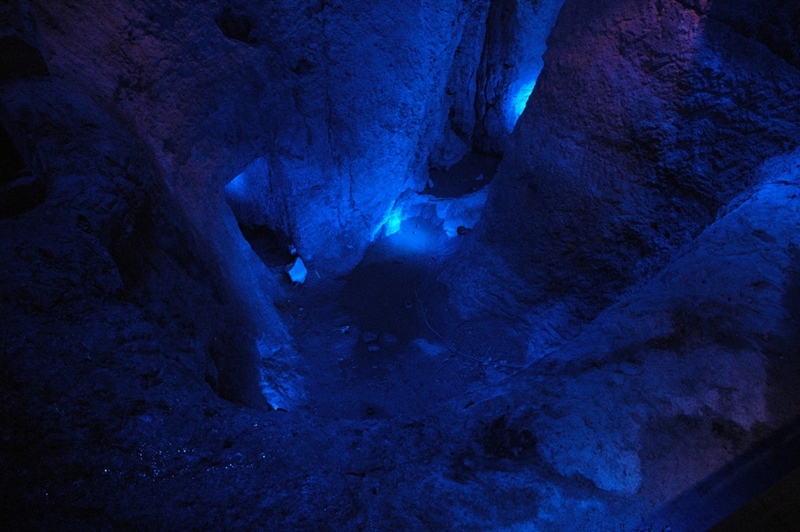 More of the water channel. 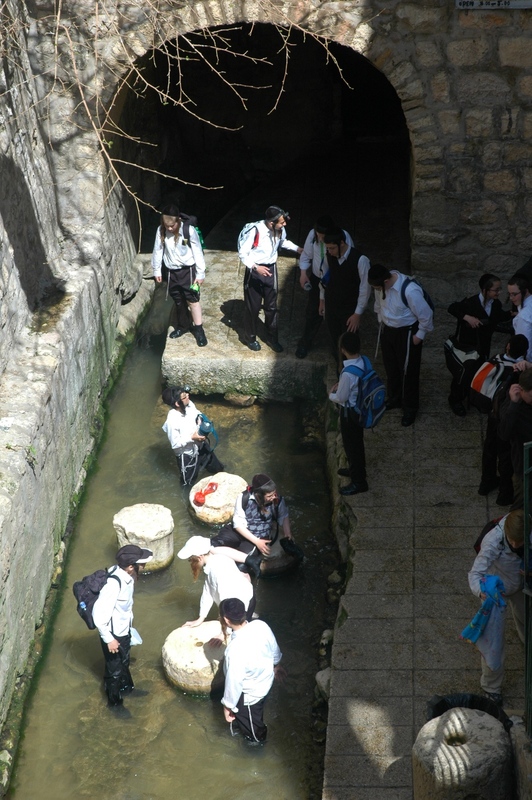 More of the Herodian street water channel. 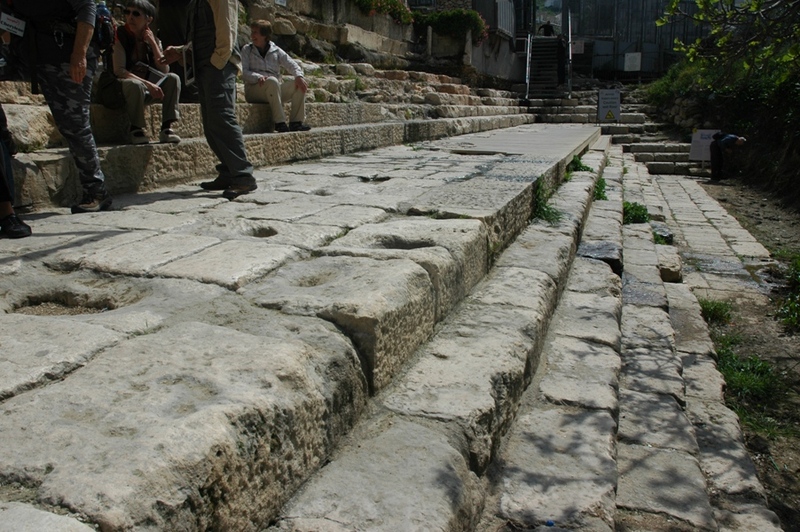 We knew we had made it to the western wall of the temple mount when we saw the familiar Herodian style building stones. 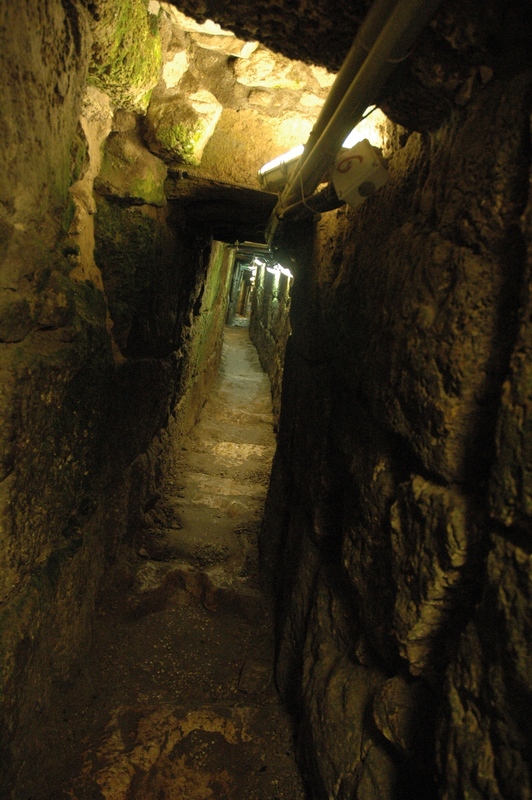 We emerged onto the excavated first century street under Robinson’s arch. 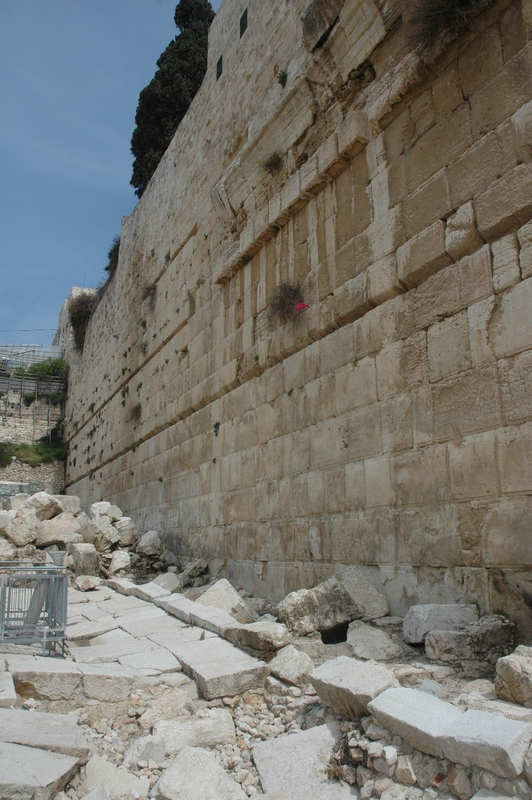 The stones scattered about were thrown over the side when the Romans destroyed the temple. 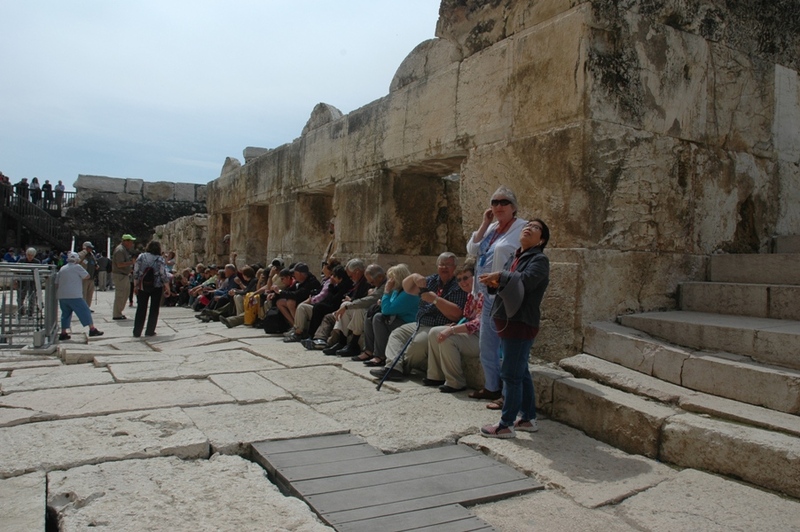 While our guide Shlomo told us the story of the Temple destruction we sat on the curb in front of the remains of the shops that were built along the first century street. 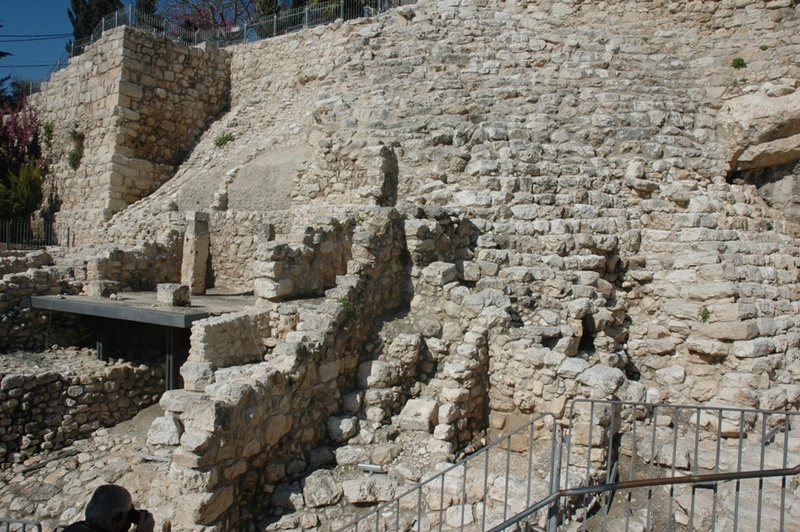 From there we moved to the southern steps of the temple mount, remains of the first century construction. 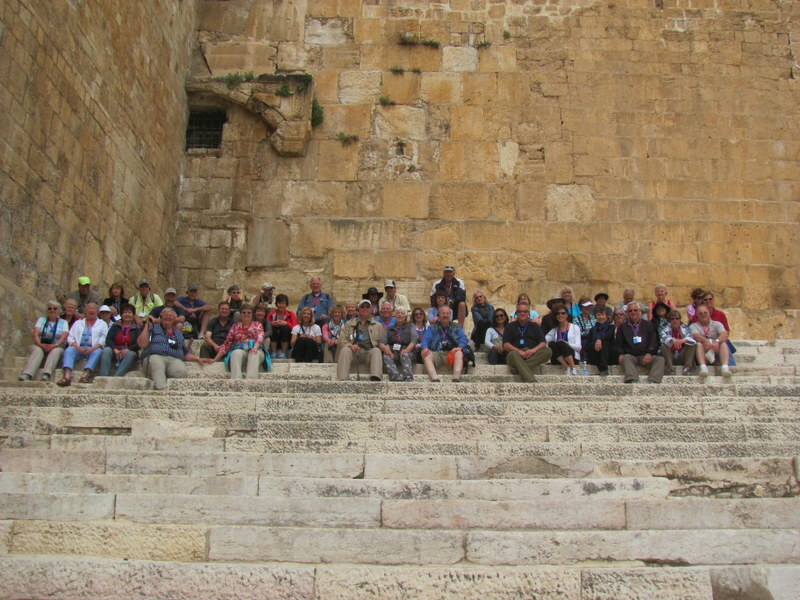 Our formal group photo on the southern steps. 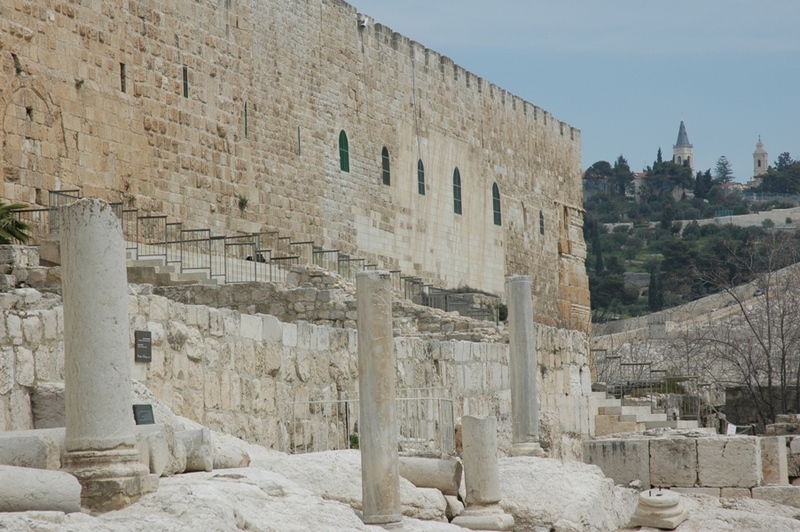 To the south of the southern steps is an area recently excavated by archaeologists Eilat Mazar, which she believes are part of the Jerusalem city walls built by Solomon. 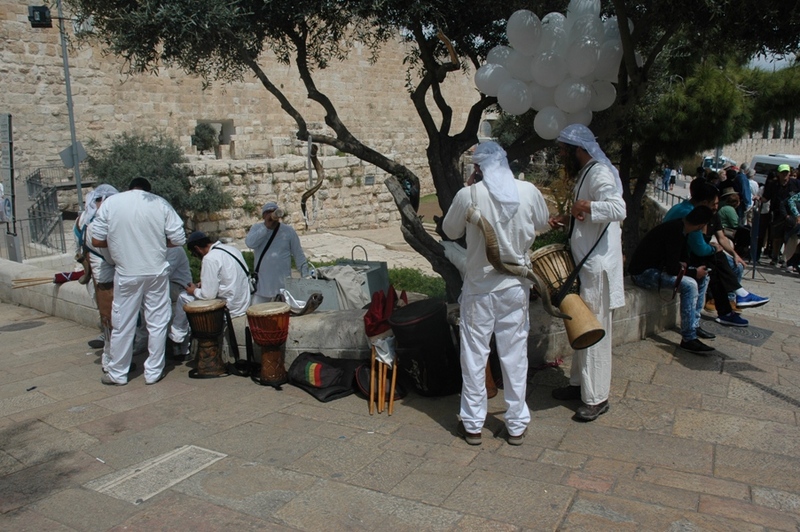 As we left the old city of Jerusalem we noticed a lot of activity around the dung gate, perhaps even a wedding party under the canopy. 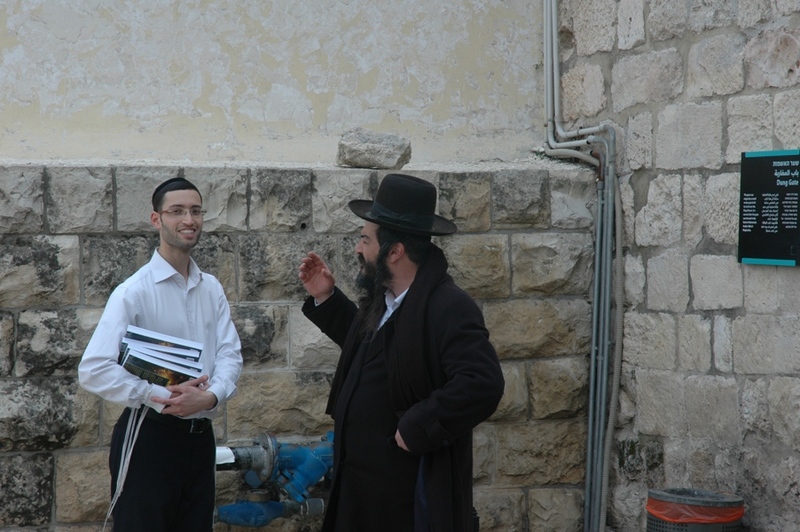 Two Orthodox Jewish men in animated discussion, one noticed the photographer and one did not. These guys had been responsible for a lot of noise. 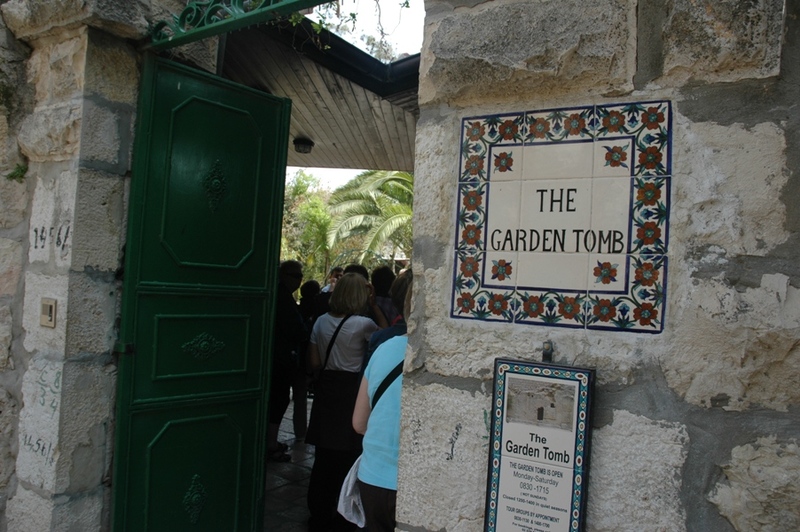 Outside of the Old City of Jerusalem is the Garden Tomb. 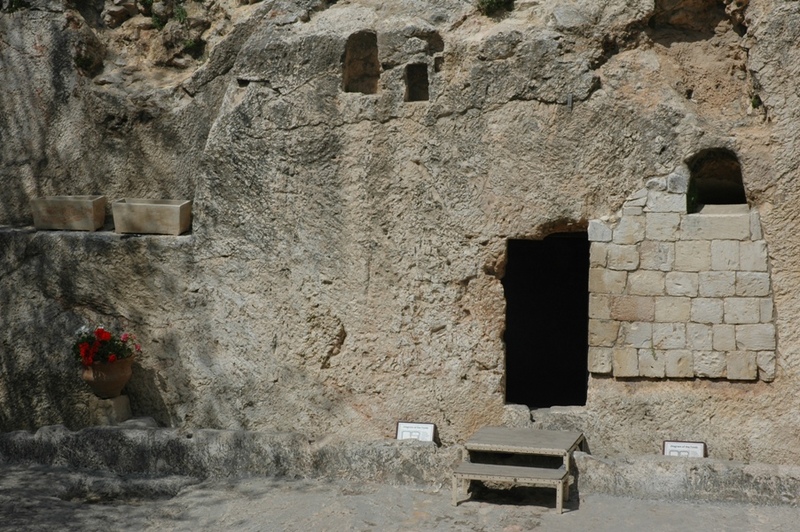 A place for sober reflection but probably not the tomb of Jesus, according to archaeologists. The place of the skull looks less and less like a face ever since the nose fell off a few months ago. 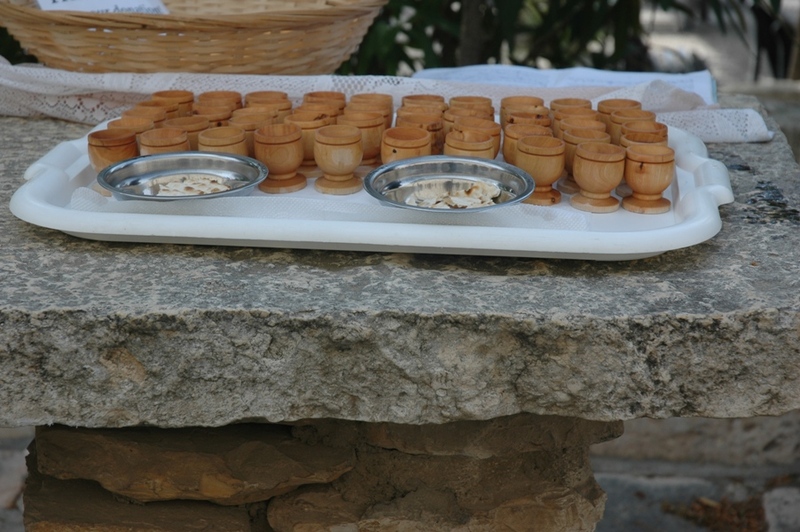 We enjoyed a memorable service of Holy Communion at the end of our visit. 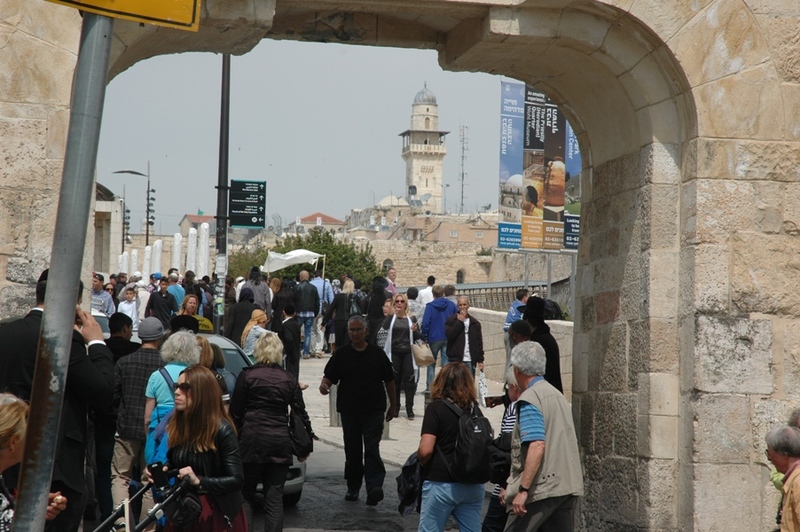 In the free time left on our last afternoon in Jerusalem, a few of us decided to do the Ramparts Walk, along the top of the city wall from the Jaffa Gate to Herod’s Gate. 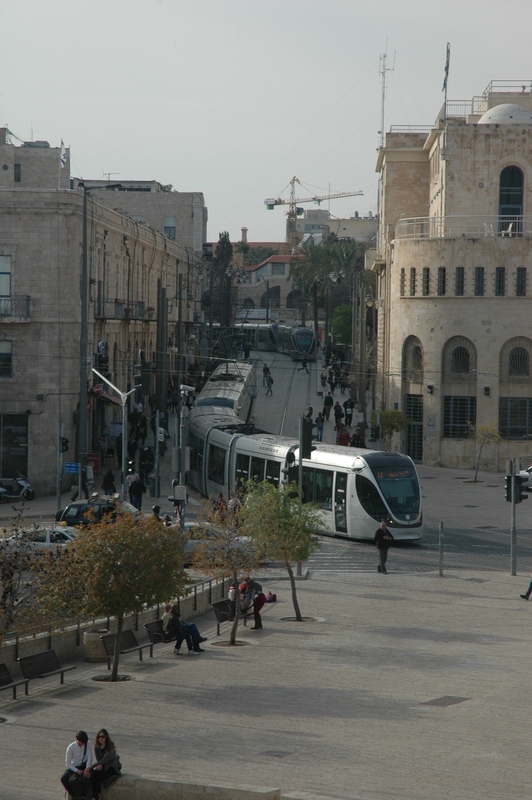 We got a good look at Jerusalem’s light rail. Looking down the street from atop the New Gate. 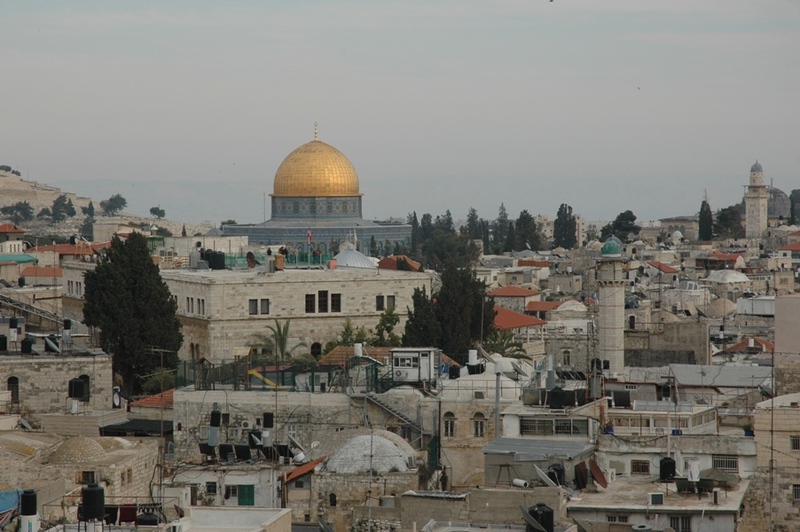 From atop the Damascus Gate, a view of the Dome of the Rock, with the mountains of Moab in the distance. 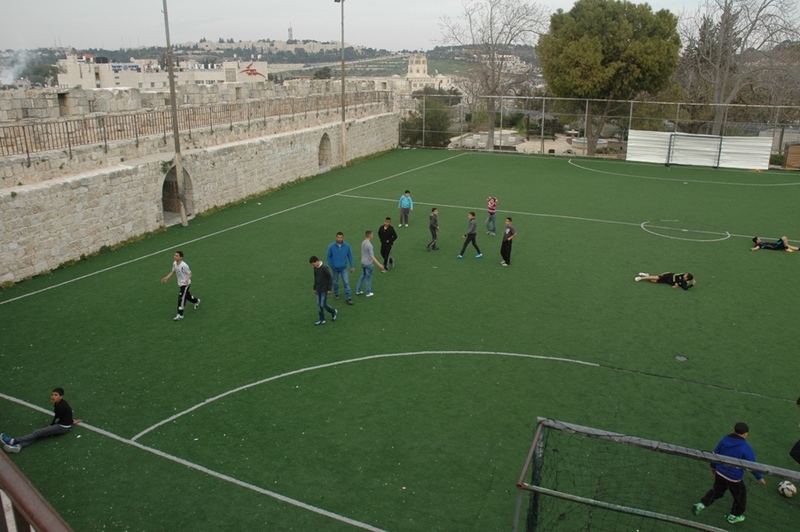 Inside the city walls, kids still play soccer. Inside the city walls, moms still check their email. 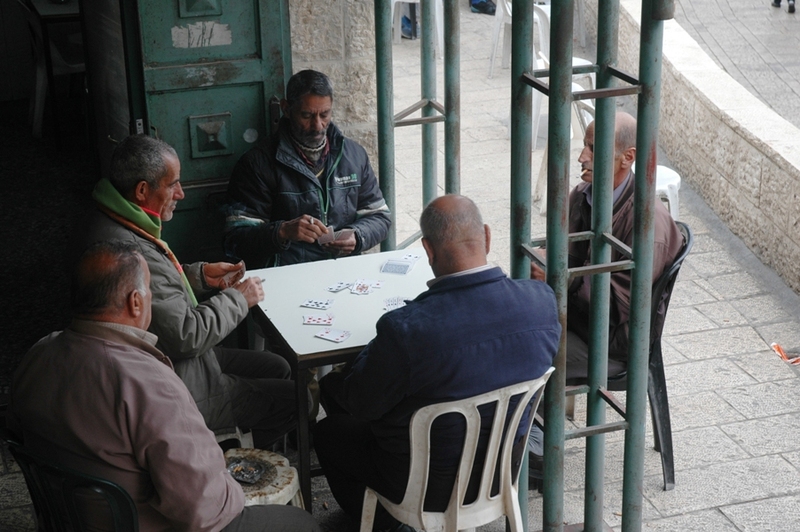 Inside the city walls, men still play old card games. 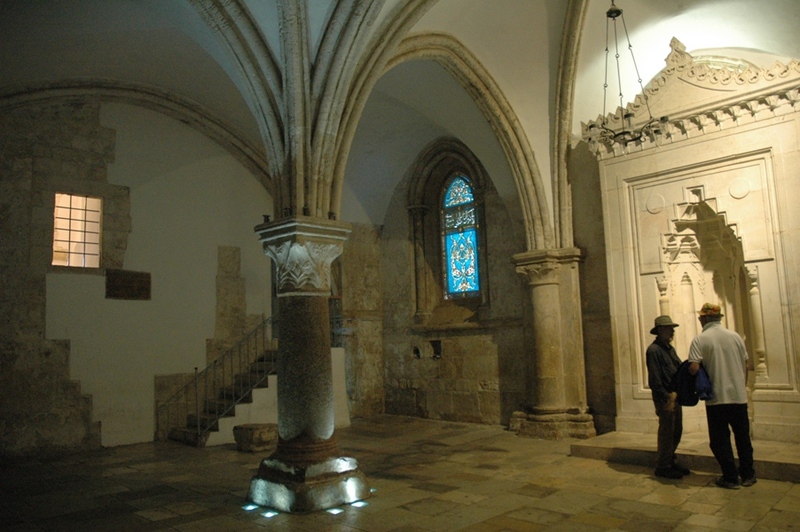 Our last sight-seeing stop, the Cenacle, the traditional location of the Last Supper. 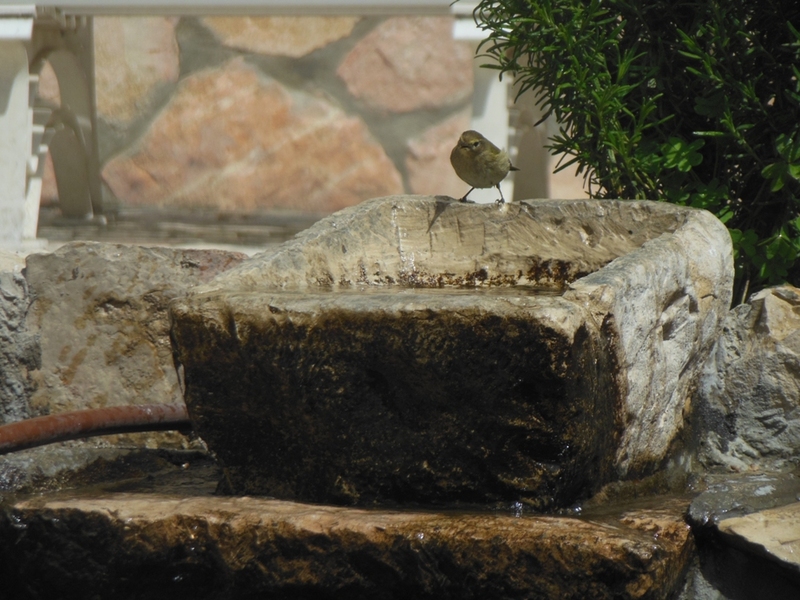 Our time in Israel was filled with many reminders about God’s love and God’s mercy, even a tiny sparrow does not escape his notice and concern. 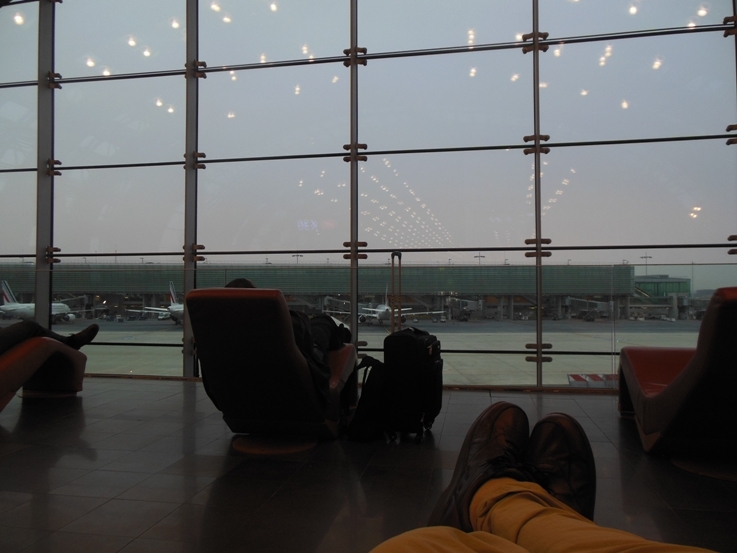 After our late-night departure from Israel, we appreciated the wonderful chairs in the lounges of the DeGaulle airport in Paris. 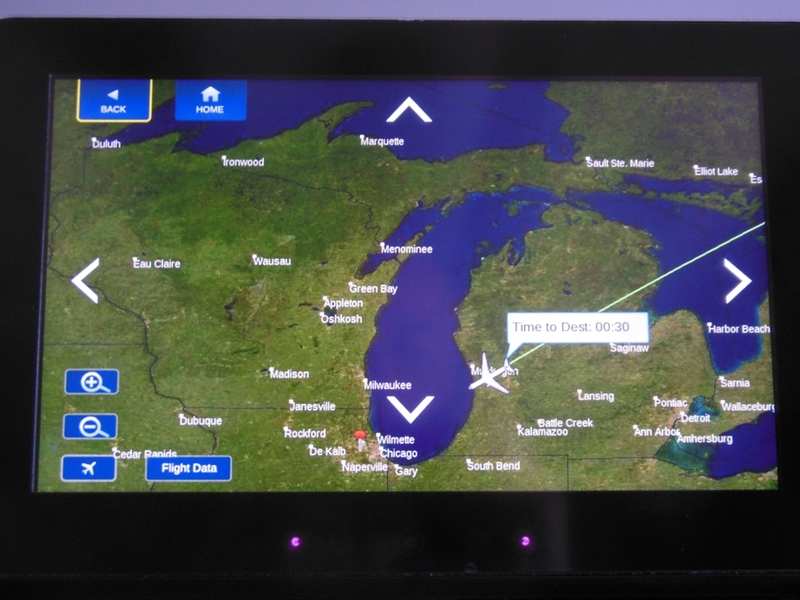 And before we knew it, home was in sight. Home Sweet Home.